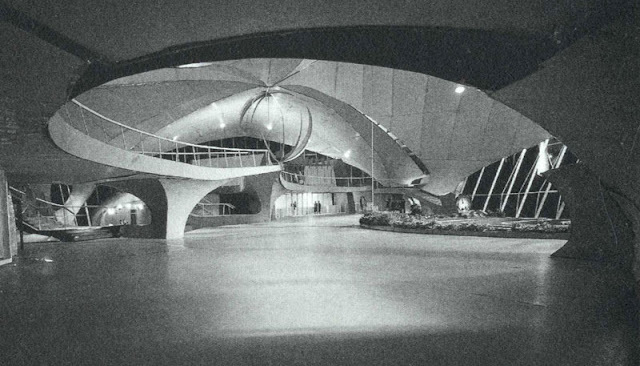 As much as I rue the destruction of the old Penn Station (see yesterday's post for more on this), I realize that just as the McKim, Mead & White building was coming down, the new Eero Saarinen TWA Terminal at JFK Airport (then still called Idlewild) was going up. 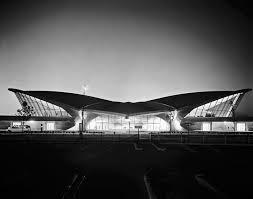 In one short span, 1962 and '63, the old technology (rail) was giving way to the new technology (aviation) and that change was being reflected both in buildings and in architecture. 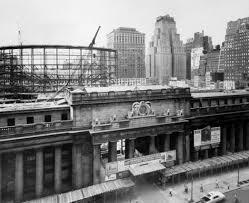 The classically-inspired structures of the previous era were being replaced by the modernist structures of the new. All of this happened during the brief three-year presidency of John F. Kennedy. 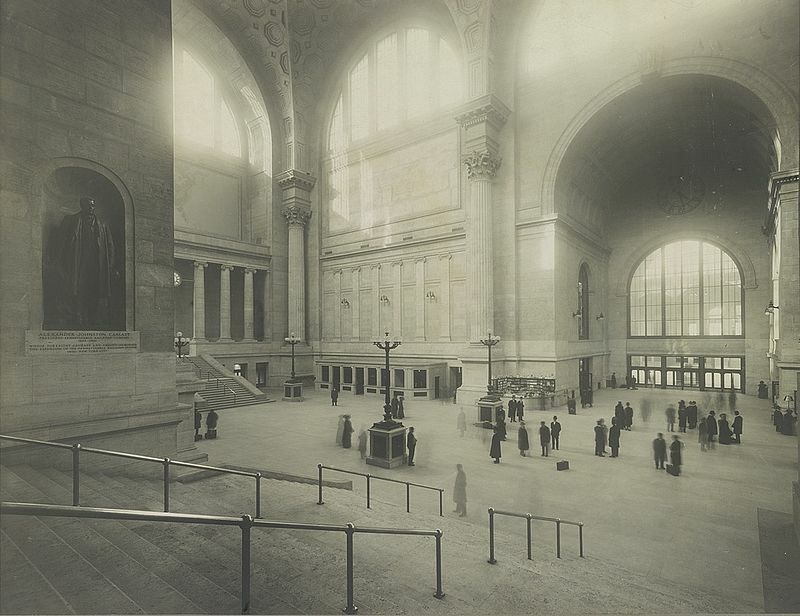 In other words, this was a time of tremendous change, with politics and technology and architectural design and planning moving hand-in-hand. A bright new young president, a world speeding up in the jet age (with space exploration next), buildings going up and coming down: the ferment of change and the advent of The New were in the air. One can understand why this was such a heady time for those, like my parents, who lived through it. It's not hard to imagine such changes though. We are living through such a moment ourselves, at least on the technology side (our politics seems retrograde and is lagging significantly behind). The world has speeded up again since the jet age. The laptop computer and now the hand-held device have added yet another hyperwarping of speed and time and space for humans, with a paradoxical result that trains are now back in fashion. Perhaps they offer a more humane form of travel. And honestly, who would have thunk it? 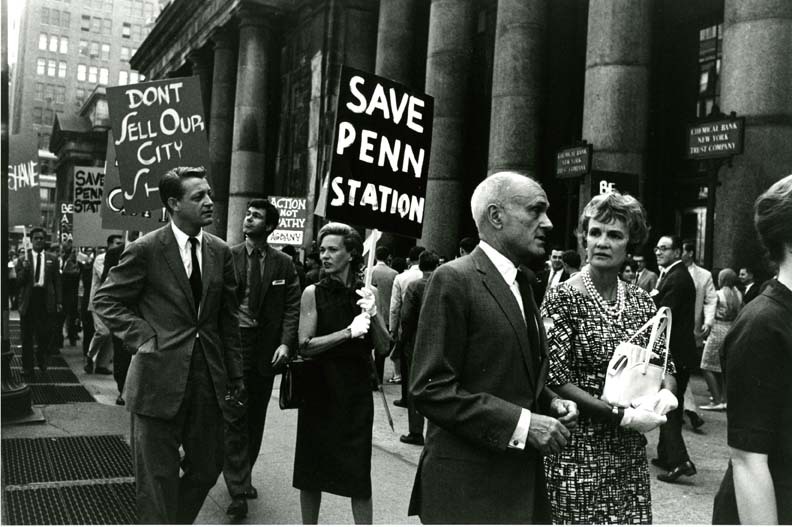 When those white middle-class middle-aged New Yorkers put on their suits and ties and donned their finest pearls to form a picket line to protect the old lady from demolition, so unaccustomed to political activism though they were, they may have had an inkling they would lose that battle. Little did they know however that their action would help to redefine the meaning of "war."